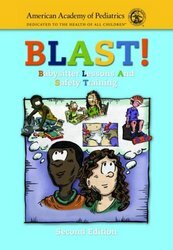 Designed for people ages 13 and older, their parents, and parents looking to hire a babysitter, the BLAST! program can prepare children to interview for a babysitting job, select safe and suitable games and activities, prevent accidents, perform first aid, and begin babysitting safely and competently. Are you looking to train a group of future babysitters, contact us and see how we can accommodate your needs for training. Our professional staff is comprised of EMS, Nursing and Medical Professionals and will incorporate their many years of medical knowledge into each class.